Some 54% of Ukrainians oppose granting the Russian language official status, according to a poll conducted by the Institute of Sociology of the National Academy of Sciences of Ukraine in cooperation with the Intellectual Prospects Charitable Foundation, presented at a press conference in Kyiv on Tuesday, an UNIAN correspondent reports. Researchers note that the Ukrainians have significantly changed their attitude toward granting the Russian language official status over the past years (1996-2017). For example, in 1996, the majority of the population (51%) believed that it was necessary to give the Russian language official status, while 33% were against the idea. "The share of support for the official status of the Russian language has been decreasing gradually. 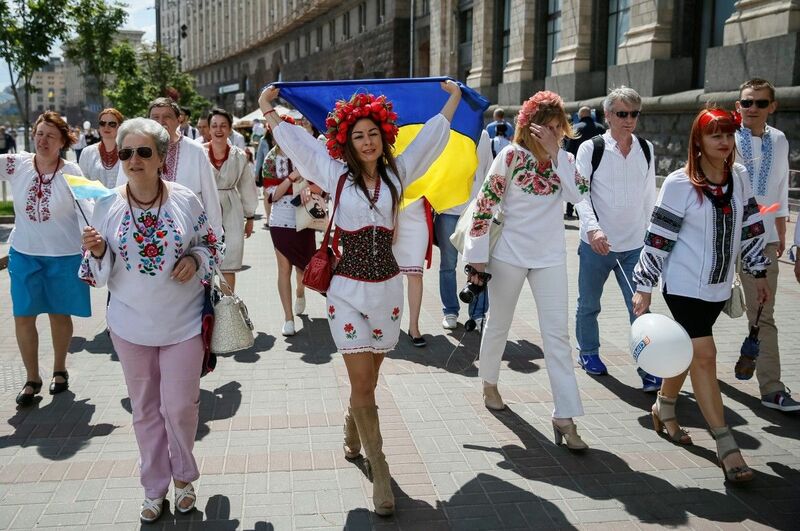 In 2017, granting the Russian language the official status is supported by 30% of Ukrainians, while 54% of respondents are against this," according to the poll. At the same time, it is noted that the question of the status of the Russian language is perceived differently across Ukraine's regions: the western region is categorically against granting the Russian language official status (88% "against", only 4% "for"), as well as the central region shows 64% opposition and 21% support. Read alsoAlmost every second Ukrainian supports idea of snap parliament election – pollGranting the Russian language official status is mostly supported in the east of the country (45% "for", 38% "against"), the south (57% "for", 31% "against") and Donbas (55% "for", 14% "against"). At the same time, it turned out that it was in Donbas where there were most respondents who failed to provide a decisive answer (31%). The survey was conducted on July 3-25, 2017 on a quota sample representing the adult population aged 17 years or above. It was conducted in all regions of Ukraine, except the Autonomous Republic of Crimea and the occupied territories of Donetsk and Luhansk regions, by a personal interview method at the place of residence of respondents. A total of 1,800 people were interviewed. The poll's margin of error does not exceed 2.3%.